The Keysight 10076C 3,7 kV, 100:1 passive probe gives you the voltage and bandwidth you need for making high-voltage measurements. Its compact design makes it easier to probe today's small power electronics components, and its rugged construction means it can withstand rough handling without breaking. 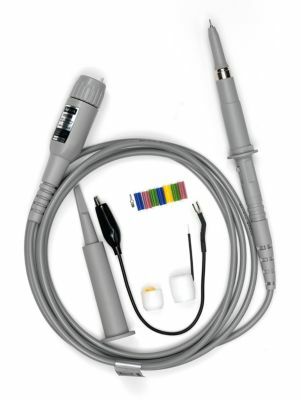 Compatible with 2000 X-, 3000 X-, 4000 X-, 6000 X-, 5000, 6000, 7000, 8000, 9000 and S-Series oscilloscopes.